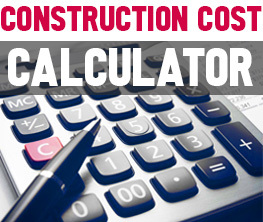 Commercial cleaners are quick and powerful, but they come with a hefty health and environmental price. The dangers they pose are sometimes little known and other times ignored for the sake of convenience, especially when used in commercial sites where efficiency is key and cleanliness a deal maker or breaker. However, studies show that, when it comes to the restaurants they patronize, green cleaning is important to customers since they associate it with a healthier environment. The customers are right: the health risks are not to be overlooked, whether they are immediate or long-term. Burns, respiratory irritation, hormone disruption, damages to the nervous system, depression and cancer are only a few health problems associated with the ingredients present in these products. The dangers are also environmental. From the drains, the cleaning products make their way into nearby streams. A worrying majority of these waters test for disinfectants that pose future problems to humans and threaten wildlife. For instance, phosphates in detergents lead to algae overgrowth, disrupting the natural equilibrium of streams and rivers. On the other hand, petroleum-based products play a part in diminishing non-renewable resources, while plastic containers overcrowd the landfills. However, there are plenty of eco-friendly, non-toxic alternatives that offer similar cleaning strength with no hidden dangers. For those who want to have total control over their environment, a few simple ingredients such as vinegar, lemon juice, borax, soap (like the liquid castile soap below) and the versatile baking soda are all that is needed for a clean, germ-free environment. 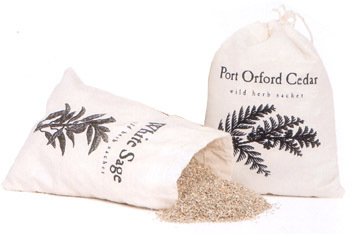 For those who need the convenience of a prepackaged product, the natural alternatives are plentiful. A clean kitchen does not necessarily mean a safe one. For example, silica, a component often found in scouring powders that are used in scrubbing clean the kitchen from the oven to the sink, is easily spread into the air yet harmful when inhaled. However, natural alternatives such as the Earth Friendly Creamy Cleanser are offered by environmentally-minded companies. 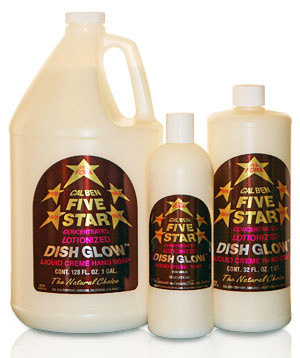 Dyes can contain arsenic or lead, so colorless dish soaps are a better choice. 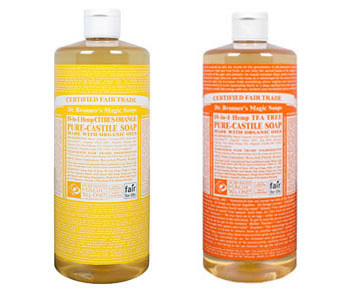 Some dish soaps may release chlorinated chemicals into the air, which makes eco-friendly options such as those offered by Cal Ben highly desirable. Chemical drain cleaners contain corrosive substances that can burn the skin and eyes. The need for such cleaners can be minimized with a regular routine of manual drain declogging or using “snake” plumbing tools or plungers. 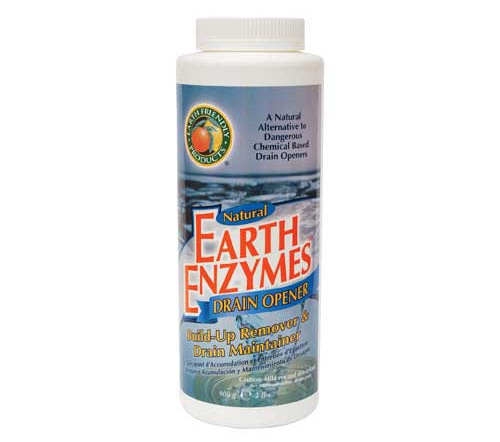 If more is necessary, an enzyme-based cleaner such as Earth Friendly Earth Enzymes Drain Opener is preferable. Soapy water is usually enough for cleaning the bathroom, with the simple addition of baking soda for scrubbing. The mix is efficient even when dealing with mildew. 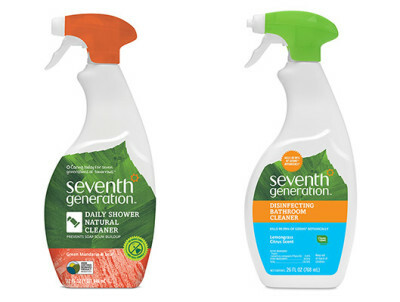 For prepackaged options, plant-based products such as these Seventh Generation cleaners are both safe and efficient. Mirrors can be easily cleaned using only water or a combination of water and white vinegar or lemon juice. 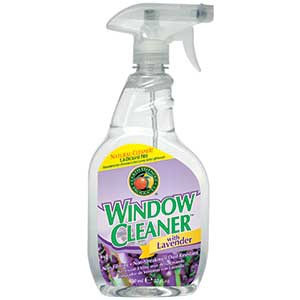 Earth Friendly Window Cleaner is only one of the commercial alternatives to these homemade options. 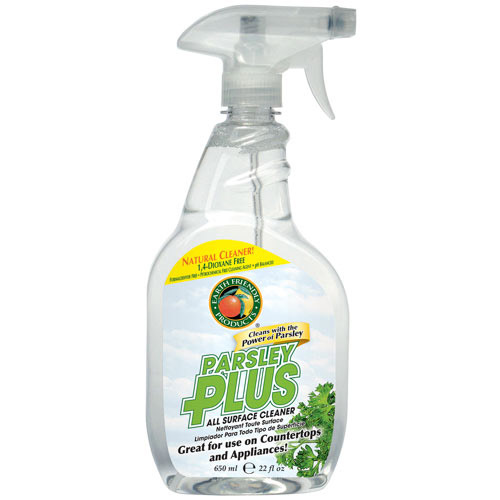 From antibacterial solutions to metal polishes, there is a natural, non-toxic, biodegradable and eco-friendly alternative to every chemical cleaning product businesses ever need. Plant-oil based furniture polishes, herbal extract-based disinfectants, cedar blocks, essential oils or herb sachets used as air fresheners can replace dangerous and environmentally destructive products. In addition, choosing larger containers and concentrated solutions minimizes packaging waste. Reading labels and looking for specifics (time span for biodegradation, ingredients, hazards etc.) 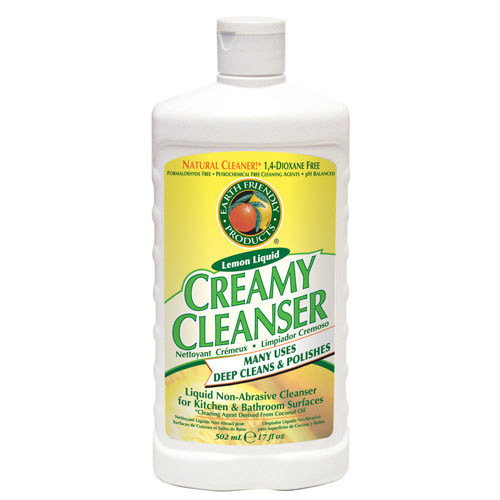 can go a long way in helping build a harm-free arsenal of cleaning products. Finally, using reusable sponges, microfiber mops and less water (preferably cold) contributes to conserving important resources, for a truly green clean.